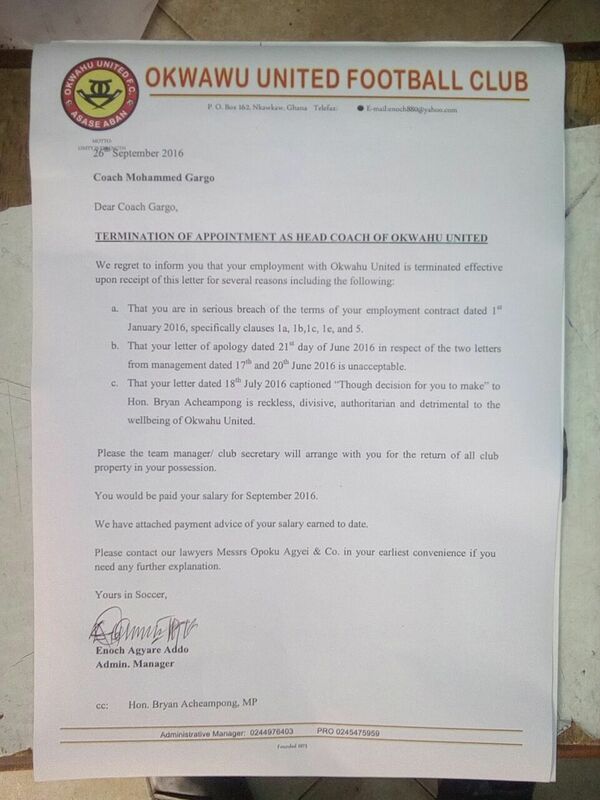 Head coach of Okwahu United Mohammed Gargo’s appointment with the club has been terminated effective Monday 26th September, 2016. 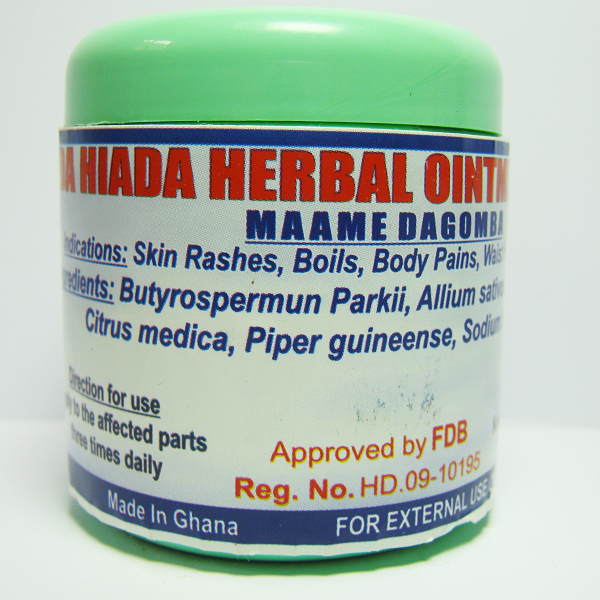 Agoo Fm had earlier on rumored that the head coach might be sacked and indeed he has been fired today. 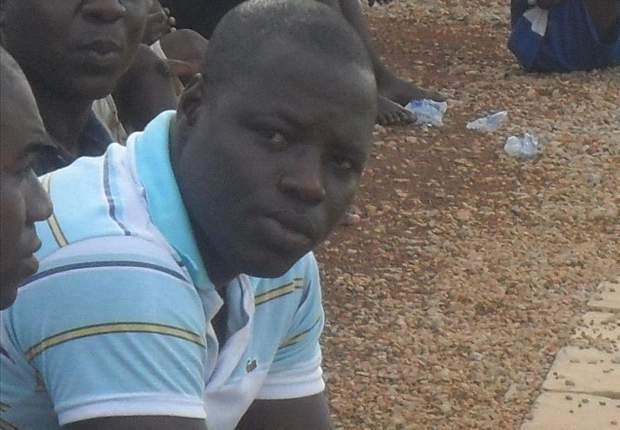 Initially an internal wrangling between the C.E.O of the club Francis Anom and the head coach Mohammed Gargo was going on unabated and that informed coach Gargo’s decision to suggest to the bank roller of the club Hon Bryan Acheampong to choose between him and the C.E.O. It is however unknown why the C.E.O has also decided to resign after the season playing Sporting Mirren on Sunday 2nd October,2016. 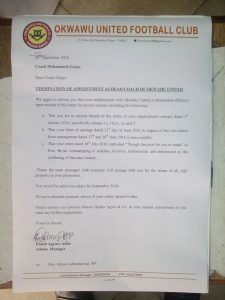 The only shocking news is that with effect from Monday 26th of this year the appointment of head coach Mohammed Gargo has been terminated and has no dealings with the club to that effect. Below is the press release by the club’s administrative manager.